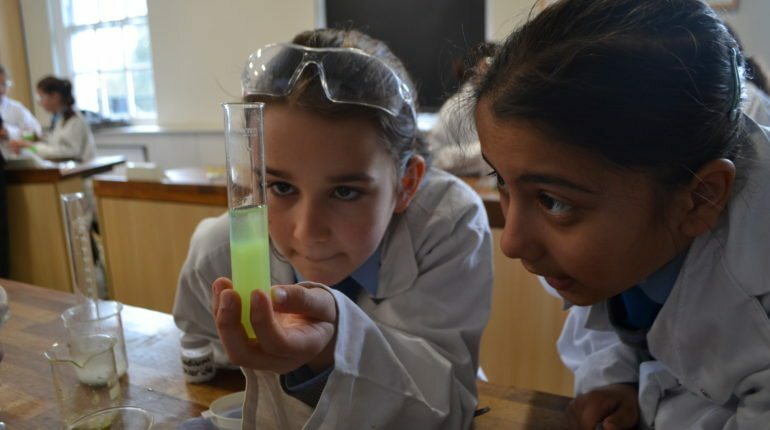 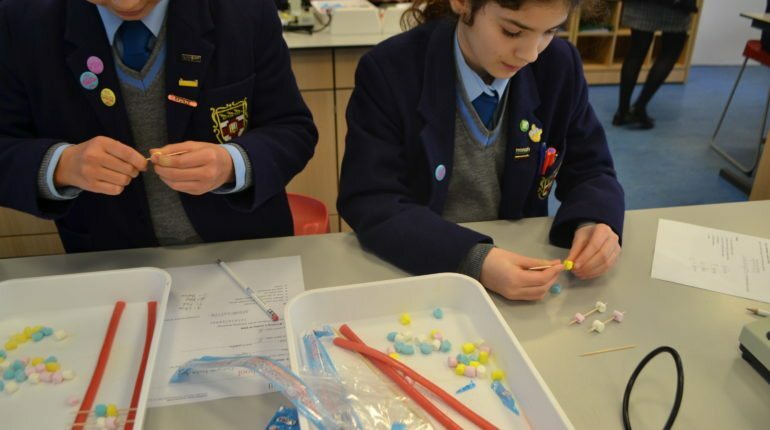 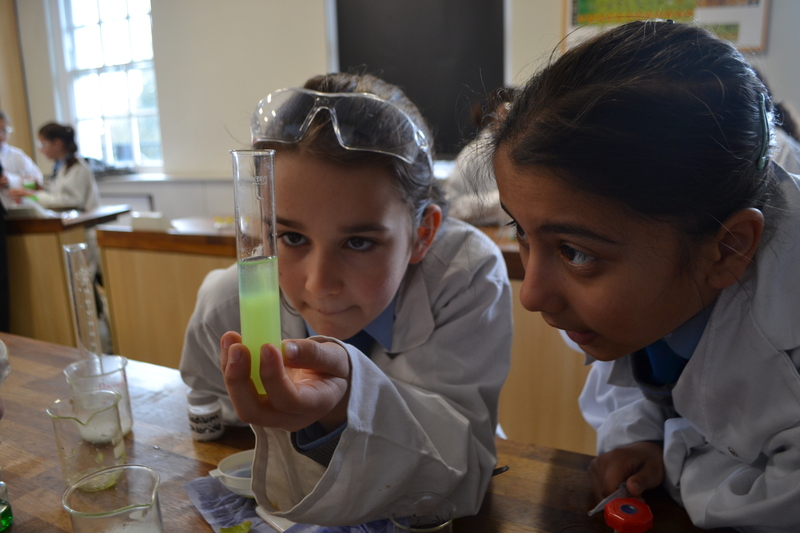 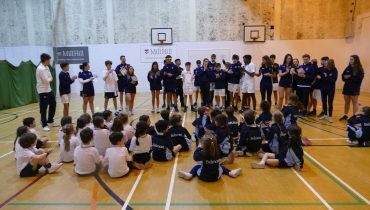 The Science department marked International Women’s day last week by inviting Y6 girls from Belmont to a morning of activities focused around the theme of DNA. 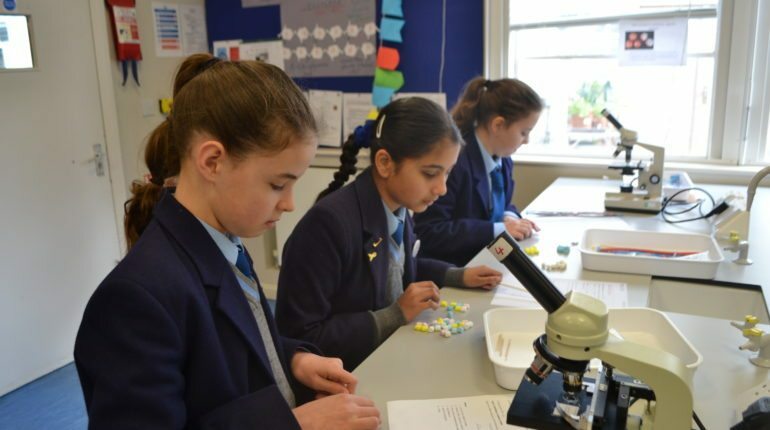 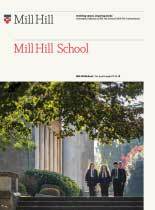 We celebrated Mill Hill’s link to Francis Crick whilst also recognising Rosalind Franklin, whose x-ray image helped Watson and Crick work out the double helix structure of DNA. 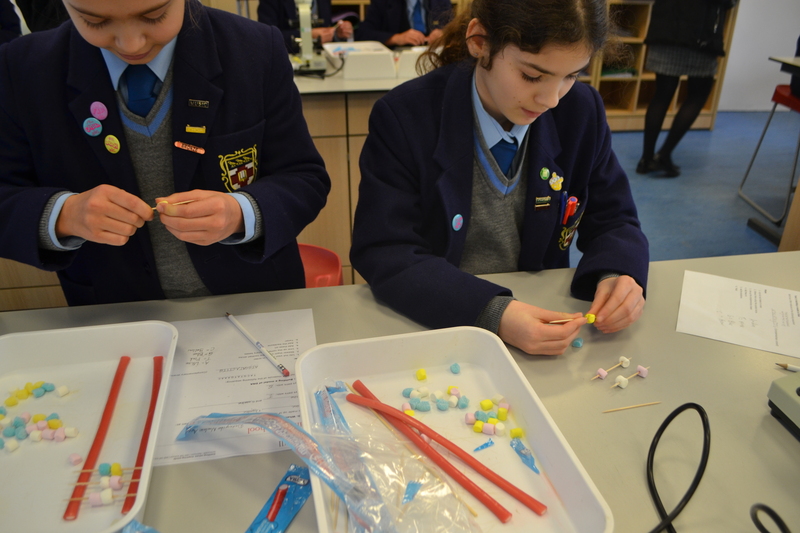 Miss Bignell led a session on the structure of DNA; using microscopes to locate the nucleus of a cell then building DNA molecules out of sweeties. 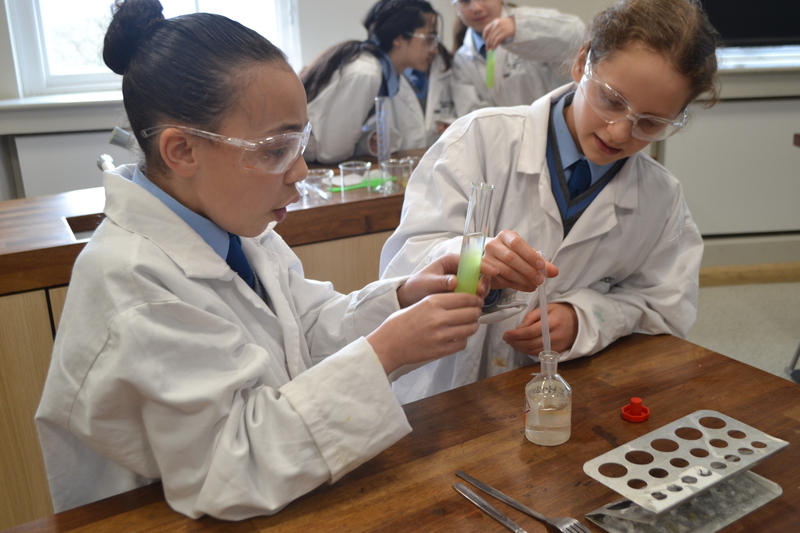 With Miss Izzo, the girls extracted DNA from kiwi fruit and with Miss Fox, the girls learnt more about Rosalind Franklin, photo 51 and how to infer an answer from clues. 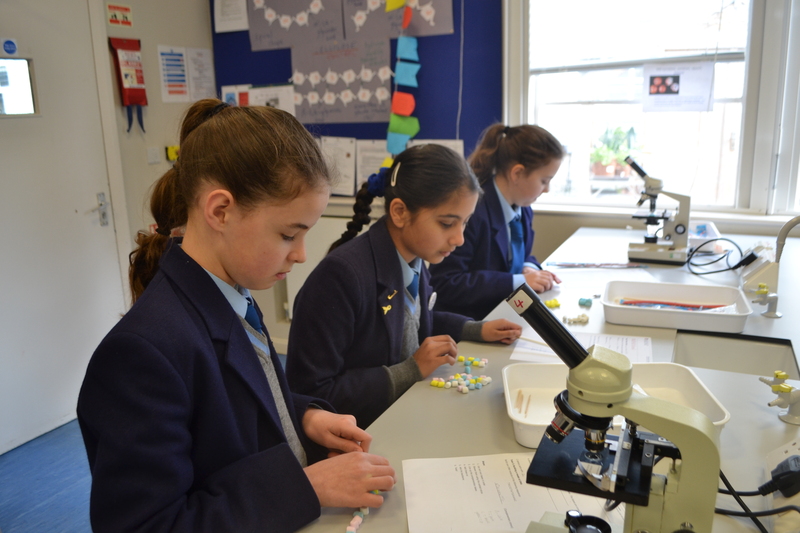 Four female Sixth Form pupils led an introduction on trailblazing female scientists and continued to support and encourage our guests throughout the morning. 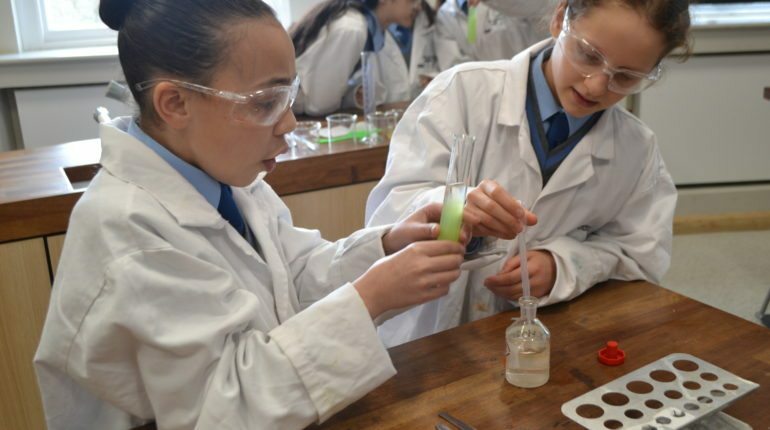 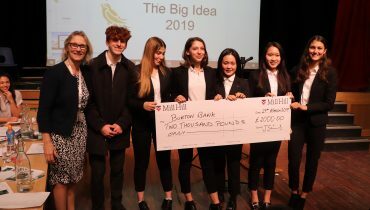 A huge thanks to Renua, Maddalena, Suri and Imogen for being an inspiration to the girls and for being fine ambassadors for the study of A-level science.